Self-insured employers with fewer than 50 or more full-time employees (including full-time equivalent employees) generally must furnish a Form 1095-B to all responsible individuals--typically the primary insured, an employee or former employee, or other related person named on the application for insurance--no later than March 4, 2019. 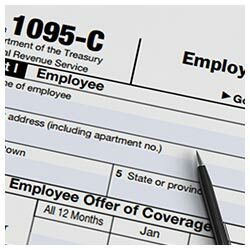 The deadline for employers to file all Forms 1095-C and 1095-B with the IRS remains February 28, 2019 (or April 1, 2019, if filing electronically). For more information, read the instructions for Forms 1095-C and 1095-B. Overtime (OT) is typically calculated by multiplying an employee's hourly rate by 1.5--pretty easy, right? It depends who checks your math. 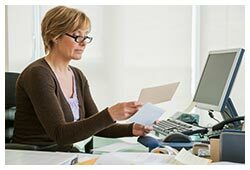 The Department of Labor (DOL) recently published an opinion letter on pay rates, as they relate to calculating OT. According to the letter, you can vary employees' average hourly rates from week to week--assuming the average hourly pay is always above the Fair Labor Standards Act's minimum wage threshold. However, employers using this method should be cautious when determining OT pay. The DOL specified that a company may not "arbitrarily choose the regular rate of pay" on which to base OT--it must be based on fact and "mathematical computation." In the simplest terms, this means: use an employee's actual pay rate when calculating OT pay. Retaining Talent: Are Your Leaders the Problem? It's no secret that bad bosses can send employees running, but what's considered "bad" these days? To many businesses, it means being unempathetic. Empathy is recognizing emotions in yourself and others, and using that understanding to influence your actions. Lately, companies are seeking leaders who exhibit high emotional intelligence because they maintain better rapport with employees and can keep them on board. In fact, when it comes to retention, an empathetic leader is sometimes more important than pay, according to a recent study from Businessolver. Over two-thirds of workers in sectors like tech and health care say they would make concessions on pay if it meant having a more empathetic boss. Moreover, 90 percent of workers are more likely to stay with a company if it empathizes with their needs, according to the same study. Experts suggest forming a culture of feedback at your company. Employees at all levels should feel comfortable offering feedback. Additionally, leaders should consider holding one-on-one meetings with employees to discuss what they need for success. Remember: when workers are comfortable sharing with empathetic leaders, your business can focus on improvement and growth. Employee orientation is an important piece of HR and employee management. A formal orientation is essential to setting a new hire up for success and helping your company maintain the corporate image and values you portrayed during the interview process. Employee orientation can also be designed for current staffers who are being promoted to a new position within the company and need a similar type of program. Learn the must-do's for employee orientation in the video below.